An ethical hacker is an information security expert who professionally and systematically attempts to sneak or penetrate into the computer system of the organization. He does so with the permission of the owners of that particular company or organization. The main motive of this action is to find security vulnerabilities and weakness so that these inefficiencies could be rectified before a bad guy can take undue advantage of them. After reading till now you might have got an idea about how important an ethical hacker is for an organization. As the role of an EH is indispensable, companies are ready to pay a good compensation or salary for availing their services. There are several bodies or institutes who provide courses on ethical hacking such as EC Council, Certifies Information System Auditor, Certified Information Security Manager, GIAC Security Essentials and so on. EC Council is the most renowned among them. The salary of Ethical Hacker varies from company to company, however, Payscale.com has quoted a salary which seems to be the standard among the industry. They said that a Certified Ethical Hacker earns $89,000 annually. However, as the importance of an EH is increasing in the present time, the salary is expected to rise over time. In addition, one could get a rise in their salary by enrolling for the course such as CISSP, OSCP, OSCE, GPEN, among others. In countries such as India, there are several companies who are deeply interested in Ethical Hackers. 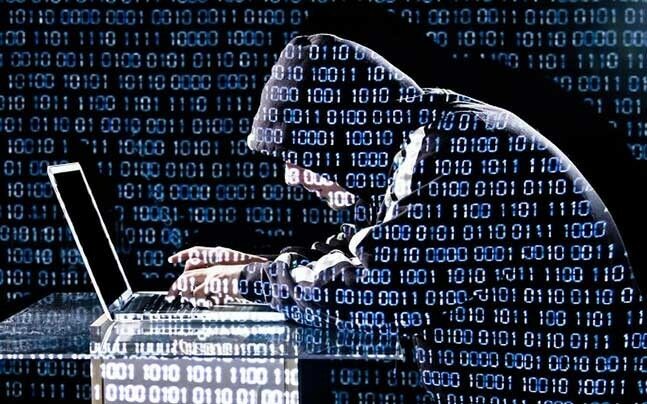 IT giants like Wipro, Infosys, IBM, etc regularly employ ethical hackers. The career growth in these firms are high and many times a person just starts as a security tester in the beginning but after a few years becomes the Chief security officer. 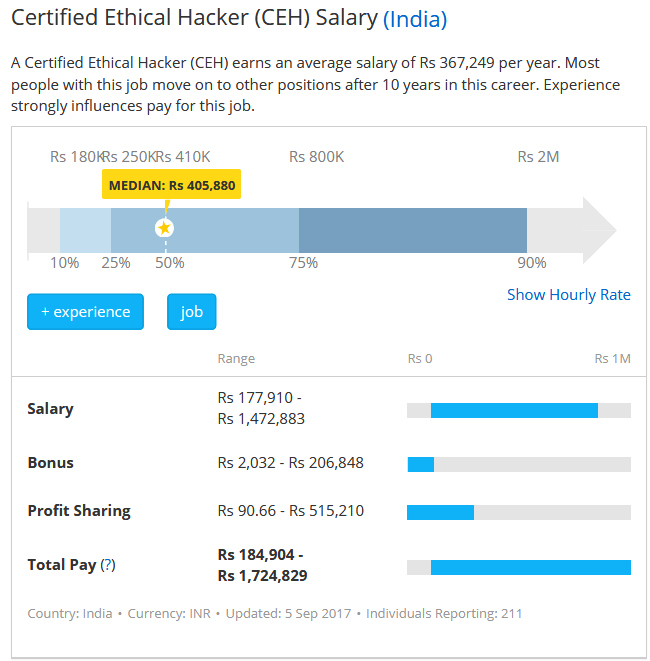 The chart below gives a good idea about the salary structure of an ethical hacker and other professions which a person could opt for after getting experiences. If one gains good knowledge about the working of the systems and completes several certificate courses mentioned above in the article, then they could earn a decent amount as salary. In addition, one could participate in competitions such as HackFestIndia, which are organized by IBM. These not only makes one a potential candidate for hiring purpose but also increase the skill set. So this is all from our side, we hope you got an idea regarding the salary of Ethical Hacker through this article. We also focused on letting you know how you could increase your salary by getting more experience in this field. Thanks a lot for reading.